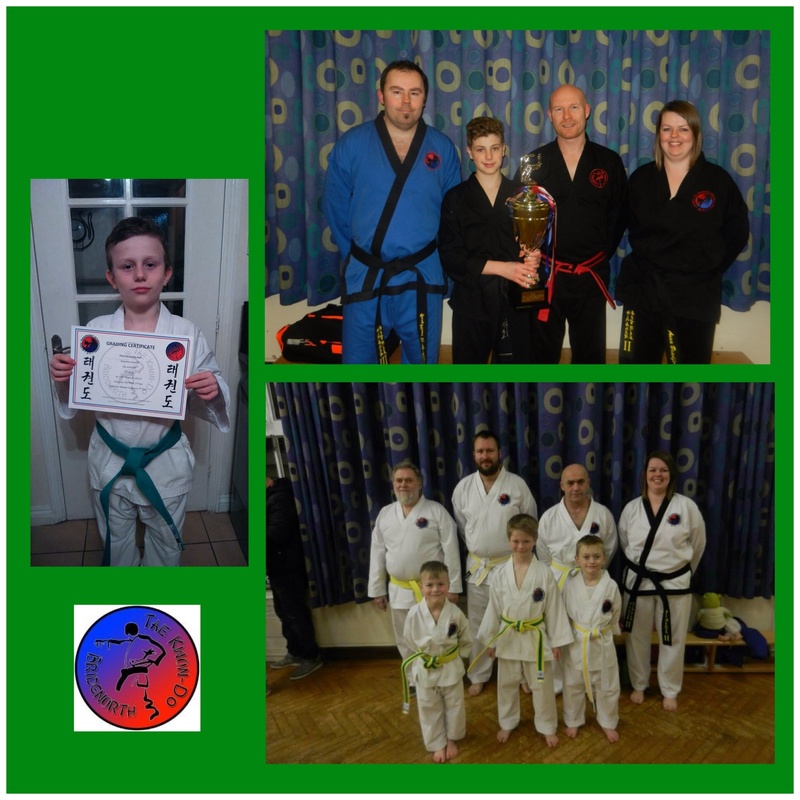 It’s been a busy month for Bridgnorth Tae Kwon-Do. Seven students have passed a colour belt grading, under the scrutiny of 7th Degree Black Belt, Master Cockburn. The students, mostly beginners who have been training for a couple of months, were tested on line work, patterns, self defence, kicks, punches and theory. The students all put in a lot of effort and we were especially pleased to see the junior students so focused. The adults performed extremely well with a lot of power and skill. One student, David Rowley, passed with an overall ‘A’ grade and Master Cockburn commented on the excellent standard shown. Meanwhile Dean Lewis and Luke Richardson, who train at the club as well as representing the national squad, have been busy with competitions. Dean and Luke competed at the LTSI South East Open in London, and it was an outstanding day for the pair, the team and for our club. It was a busy competition with around 400 entrants, and both Dean and Luke won bronze for sparring. The national team (GTI Squad) that they belong to won the cup for ‘best school’; with the most podium positions out of all the 30+ teams that entered the competition. The cup has been at our club in Innage Lane, Bridgnorth and we were absolutely delighted at the result. The team also attended a kickboxing competition in Solihull. This was mostly for experience in an open-grade, open-weight category but Dean came home with a bronze from that too!